Bill Gill, you were an inspiration at the Blackshots track, I loved racing for you. So many kids got a great chance to shine & to just do something different. Good times & thank you. and the club was confined to history. They were happy times and I well remember you and all the youngsters from Tilbury. We have a get together once a year in a local pub so look on Facebook for Thurrock Reunion. I am still involved but only as Secretary to the Veteran Cycle Speedway Riders Association – a bunch of old lads from all over the world. Great to know you are still around and have fond memories of those early times. I worked with bluey waterson in Tilbury Docks Ship repairers, also rode for Thurrock cycle speedway club along With Dennis Mann. 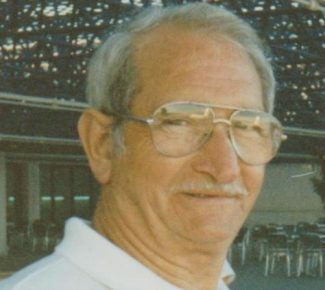 Bill Gill was the manager of the club. The track was along side St Chads School where the new housing Estate is now, great memories. My late Brother-in-law Alan Wood from Cowper Avenue was a keen cycle speedway rider who I believe rode for Thurrock Cycle Speedway Club and then later maybe for Tilbury Hammers. I used to go with my Sister Shirley many times to spectate. Happy days. Jack was my brother-in-Law when I lost my dad he was my mentor he meant so much to me, he became my dad and I thank him for it. he persuaded me to try it which I did. First time I did, crashed when getting up to straighten the handle bars, a block by the name of Gearge Siddens smashed into me both fork of the bike smashed into my shins Jack took me to tilbury hospital where I had 5 stitches in each leg Happy Days.